Thank goodness for all the dumb money littered around corporate offices. If it weren't for the clueless spending it the likes of CVS Caremark and Express Scripts wouldn't be $50,000,000,000 and $100,000,000,000 cash cows, respectively, on the backs of some really good businesses. Contemplate this the next time you see some PBM product clearly aimed at the financially naive, like a disease management or mail-order program without any or very little audit privileges. Sure the product in question takes care of the company's overhead, but it's also doing something else. It pays for the PBMs Gulfstream G650 so it is able to offer the "basic" services, such as claims adjudication, you need at a bargain price (i.e. low admin fees). This phenomenon applies to other vendors as well; banks, auto repair shops, and lawyers just to name a few. All it takes is a little discipline - do the best thing for your company or the one which employs you. Anyone with a major role in the PBM selection process should be the type of person who shops at Ross or TJ Maxx for designer clothing and not Neiman Marcus! Mail-order. The PBM mail-order industry is a strange blend of good and evil. With usurious spreads it victimizes clients who haven't secured a fiduciary agreement or at the very least binding transparency. It gives the rest of its clients a deal -- convenience plus a savings compared to the less fortunate or should I say least knowledgeable. Consider the price for Ranitidine 75 mg, the generic form of the popular anti-ulcer medication Zantac. One of our clients paid Express Scripts $36.22 for 90 pills mailed to a worker, who pays an additional $5 co-pay, bringing the total cost to $41.22, according to a re-pricing we completed. If this same employee had simply walked into their local pharmacy and bought the same Ranitidine prescription it would've cost as little as $10.00 for the same 90 pills. This is a 400% difference in cost! Some, if not most, of this difference in cost is attributed to a PBMs repackaging operation. 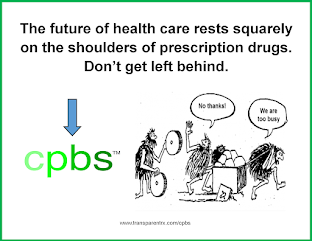 Through the course of their mail-order operations, some PBMs obtain 'repackager' licensing from the Food and Drug Administration. These licenses allow a traditional PBM to purchase 10,000 tablets from a manufacturer, for example, then redistribute the order among 60 tablet bottles at a higher AWP. If a PBM artificially inflates an AWP through its repackaging and pricing practices, it can then increase its market share by offering artificially large discounts to suckers. Retail Pharmacy Networks. 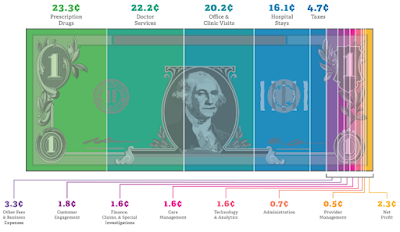 Not all PBM retail pharmacy networks offer its clients the same level of pricing transparency. There aren't just drug spreads to worry about; network spreads are as ubiquitous. For instance, your company's contract price with the PBM requires AWP minus 12% for brand drugs. However, the PBM could have a contract, with a pharmacy network in your geographical area, which stipulates pharmacy reimbursement at AWP minus 15%. The smart buyer unveils this hidden cash flow in the negotiation process thus keeping the 3% difference for their organization. It may not sound like a big difference, but trust me it is substantial particularly for companies with over a million dollar drug spend annually! Formulary Management. Drug manufacturers seek to secure favorable placements on the PBMs' formularies, for a favorable placement can determine a product's commercial success. Control over formularies endows PBMs with considerable influence over pharmaceutical companies. Manufacturers compete with each other through a combination of rebates and administrative fee structures (I've personally sat in on these meetings). Rebates and fees the payor is 100% entitled to receive, but often never realize because it wasn't addressed in the contract language. Another problem, some decision-makers put their personal needs ahead of what is best for the corporation (payor). Consultants want to earn the big fees, sometimes directly from the PBM and employees want to pay as little out-of-pocket as the plan allows. Without doing any real due diligence, HR or the CFO simply complies with both parties unaware that these decisions help purchase yachts and do nothing to improve patient outcomes or lower costs. For the record, real due diligence does not include a 50 page RFP followed by a services agreement with more holes in it than a municipal golf course. I can't stress this point enough. No self-insured organization, in an era when some PBMs are willing to agree to a fiduciary role, should be paying a single penny more than a fair admin fee ($6.00 - $12.00 per Rx) for its PBM services. Unfortunately, fully-insured entities are at the mercy of their insurer. Good luck with that. Why are Prescription Drugs so Darn Expensive?